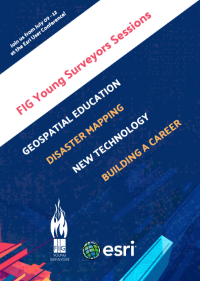 On the first day of the Esri UC, Monday 9 July, FIG Young Surveyors will kick-off the FIG Young Surveyors Network Sessions at 12:00 o’clock in Room 25C. The Young Surveyors sessions will start with an introductory presentation by Brent Jones, Global Manager Land Records and Cadastre Esri. 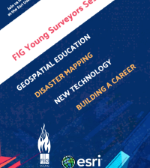 There will be an introduction of FIG YSN in that session and Raquel Perez will present on the Esri Young Professionals Network. Then we will start with our very first session – Surveyors Across Borders: How Geospatial Education Differs. The goal of this session is to learn how the surveying/geospatial/GIS education is handled in different countries and what the major differences between them are. Several #YoungSurveyors will present on the educational system of their country, we will work on new ideas and learn from each other. So join us in this session! If you are at the ESRI User Conference - do come by.